Wow I am actually genuinely surprised. This month’s calendar is one of the best they have ever released. Last edited by Kirov; 2010-01-30 at 09:14 AM. Kind of.. weird, but whatever. I liked last year's better. Sorry for the necropost, but I just wanted to notice you that the February calendar was posted. In any case, they'll probably have the calender made after they've already made the Evan notice. Last edited by Spideyjvc; 2010-01-29 at 02:10 PM. Well, I've been quite inactive these days, but I've got enough time to update this post. I have to admit I love this year's February calender. Super cute and love the drawing~ And it was posted before February yay! Sorry for the late update on March, but I've posted April as well. Where did you get the images for those calendars? Is the May one out yet? Added May 2010. It's the same as last year's, but with more monsters crowding around the tower. 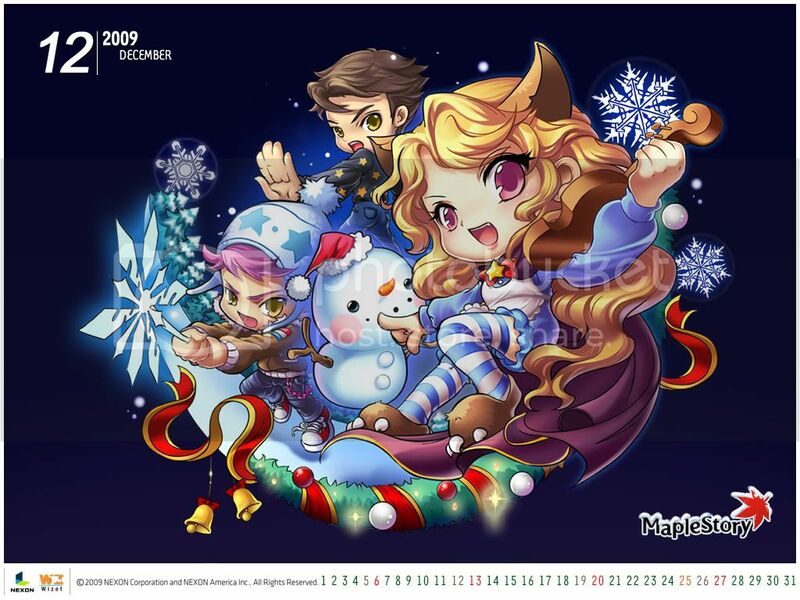 The calenders were kept from a while ago, and Nexon probably removed them from their site. However, they are still official ones from Nexon. what the hell is this wierd bird thingy behind the female aran? Collecting weird calendars has become my new hobby. Hmm. Sure smells like filler patch here. Uploaded the latest September calendar. I think they might even skip the September patch and go straight to Halloween events. Who knows, but probably your right. They could throw a new one in the middle of September. Back2school event: lern2english! Maplers can has leters 2 lern 2 speek ebglish very goodly. The visitor event ends on September 30. So... yeah. October is up. Nothing really new.